Ken is dedicated to helping business owners and leaders make intelligent business decisions to enable growth. Sometimes, such as in these difficult economic times, he can develop and implement plans for your business to thrive while revenues decline. Ken currently leads the KSF team of accountants and tax professionals. 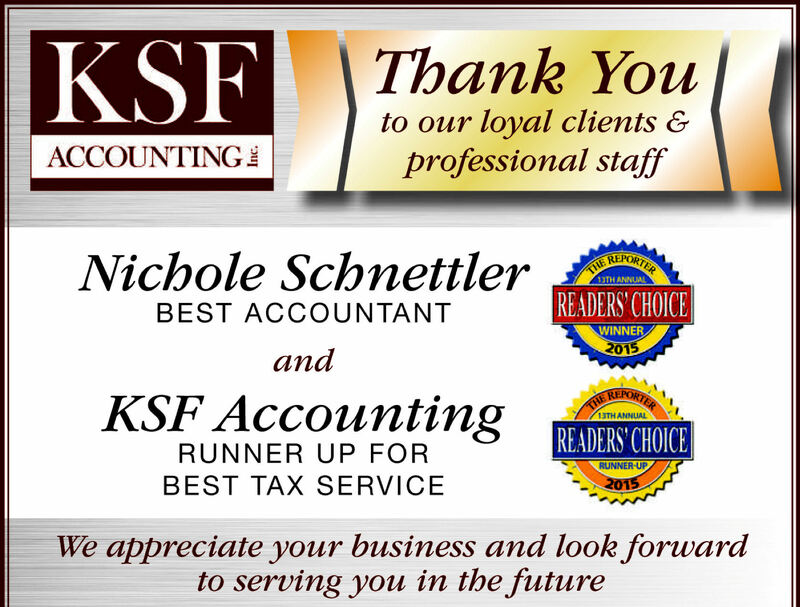 Nichole Schnettler heads the KSF Accounting team serving the accounting and payroll needs of businesses in Fond du Lac and Green Lake Counties. Nichole holds a Bachelor of Business degree from Marian University in Fond du Lac. She also is the former Lead Partner of Advantage Accounting Associates of Fond du Lac, LLC.